Isabelle Carren-Le Sauter MS, RD is a Registered Dietitian Nutritionist whose goal is to help clients heal their relationship with food. Isabelle uses an intuitive eating, all-foods-fit, body positive approach to help clients rediscover and trust their internal cues to allow freedom and pleasure with food. 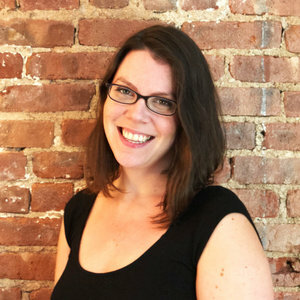 Isabelle received her Bachelor’s degree in Psychology from Barnard College before earning her Master’s degree in Nutrition Education from Teacher’s College Columbia University. Prior to joining this practice, she assisted clients in eating disorder recovery through meal coaching, helping them overcome hurdles in their recovery through grounding and motivational counseling techniques. Isabelle believes in the importance of rediscovering intuition through mindfulness and empowering clients to place their focus on overall health through one-on-one nutritional counseling, meal coaching, and meal planning. Isabelle is an active member of the Academy of Nutrition and Dietetics, iaedp New York (International Association of Eating Disorder Professionals) and IFEDD (International Federation of Eating Disorder Dietitians).